*These instruments, while not brass, benefit from Boveda. Curbs the growth of molds, bacteria and yeast in brass instruments. Reduces the stink in brass instrument case by lowering the moisture level inside. Protects a brass instrument against corroding or tarnishing from too much humidification. Why do brass instruments need Boveda? Think of those puddles of spit next to your playing chair. And the condensation that gathers inside of your instrument as you play. Brass instruments are especially susceptible to mold and bacteria growth because of their design—the pipes, the bends, the bows. Without a professional cleaning, you can’t easily get into those nooks and crannies of your brass instrument—even with a snake or cleaning brush or cloth. And cleaning just the mouthpiece of your brass just doesn’t cut it. So prevent mold from growing in the first place with Boveda. 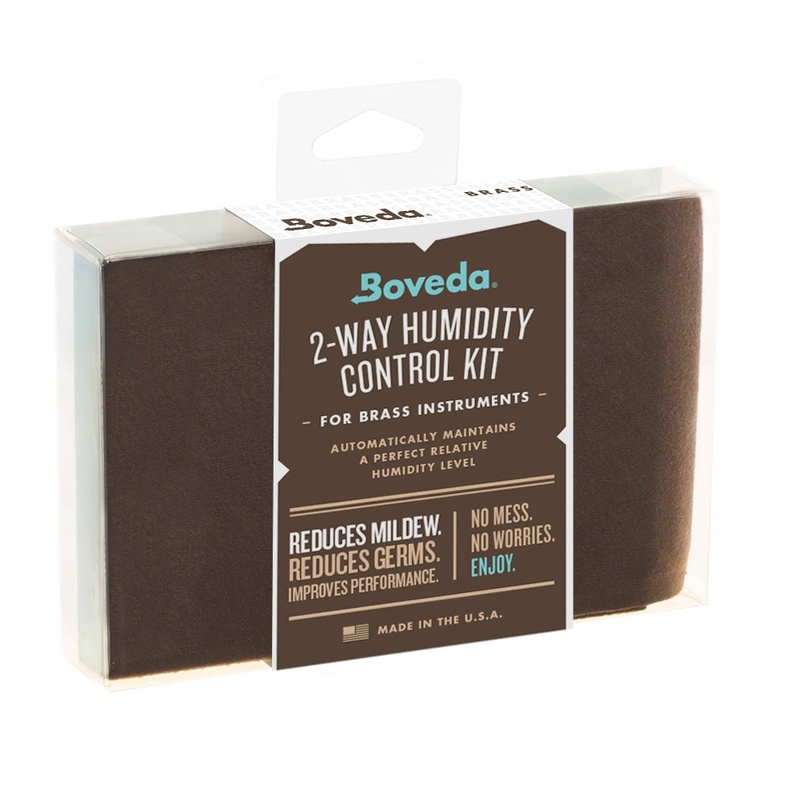 Boveda 49% HA is a must for musicians who live and gig in hot, humid climates, which really do a number on brass instruments. Boveda is natural salts and pure water sealed inside a leak-proof membrane that absorb (or add) moisture. 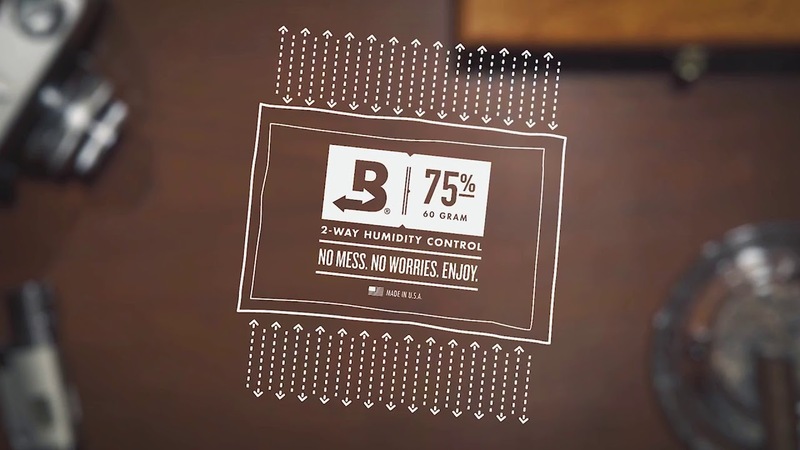 Monitoring ambient conditions inside your instrument case, Boveda keeps the relative humidity (RH) level below 50%. Musicians can develop allergic pulmonary disease to specific fungi that collect over time in their instruments, according to an American College of Allergy, Asthma and Immunology (ACAAI) study. Coughing and wheezing a lot? Could be the yuck thriving within your dark, moist instrument and its case. Boveda cannot remove mold and mildew once it is already inside your brass instrument. For best results, start using Boveda after your brass instrument has been professionally cleaned, or with a new instrument. Slip the unwrapped Boveda(s) into the pouch holder. (Do not open the Boveda itself.) Nestle the pouch holder in a storage cut-out in your case where the holder will not be crushed.